Tungsten Mining has agreed to pay Vital Metals AU$15 million in cash for the company’s Watershed tungsten project in Queensland. Tungsten Mining (ASX:TGN) has agreed to pay Vital Metals (ASX:VML) AU$15 million in cash for its Watershed tungsten project in Queensland. The deal will see Tungsten Mining acquire 100-percent interest in the project, as well as all exploration permits. The purchase will bolster Tungsten Mining’s efforts to explore and develop a number of tungsten assets across Australia, including the Mount Mulgine, Big Hill and Kilba projects. “We are delighted to have agreed terms for the purchase of this significant development-ready tungsten project. Tungsten Mining have a stated objective of becoming a globally significant player in the tungsten industry,” Tungsten Mining said in a press release. “The Watershed project complements our existing portfolio of advanced tungsten projects and substantial inventory of contained metal,” it added. The project is currently development ready, with several granted mining leases and an environmental approval for an open pit mine. However, a recent independent review of the Watershed project found a capital investment of AU$105.8 million would be needed to develop a 2.5-million-tonne-a-year operation, with an estimated mine life of ten years. The project is estimated to have a post-tax net present value of AU$150-million, and an internal rate of return of 32 percent. 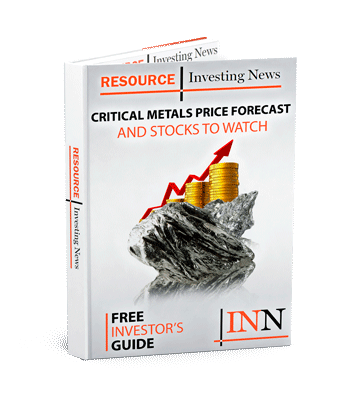 Vital Metals plans to use the AU$15 million payment to fund expanded exploration efforts in West Africa following success at its Bouli gold project in Niger. Aside from the Bouli project, Vital also owns several zinc and gold projects in Burkina Faso. Tungsten Mining expects the purchasing process to be complete over the next two months. On Wednesday (May 2), shares in Tungsten Mining closed up 14.29 percent in Sydney to AU$0.72.